Here's an awesome new poster and trailer for Disney+Pixar's BRAVE that has lots of new footage. The movie hits theaters in the U.S. on June 22nd. Since ancient times, stories of epic battles and mystical legends have been passed through the generations across the rugged and mysterious Highlands of Scotland. 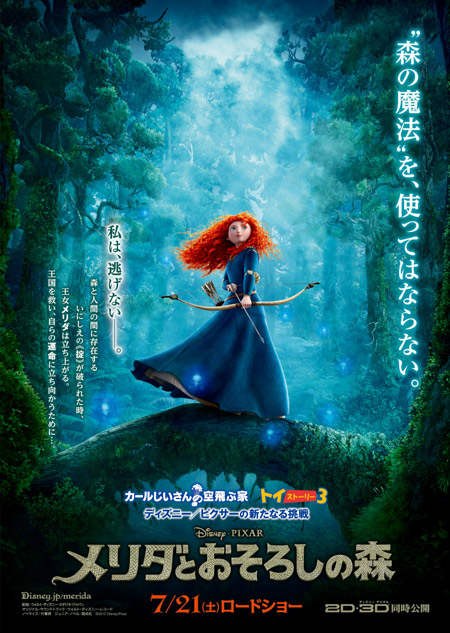 In Brave, a new tale joins the lore when the courageous Merida confronts tradition, destiny and the fiercest of beasts.